We're honored that our Hangar Office project has been selected as one of two Finalists for AZURE magazine's 2017 AZ Awards in the Environmental Leadership category. AZURE is widely regarded as Canada's leading design journal; our project was among 800 entries from 41 countries. Each category will have a People's Choice award and a jury award. We'd love it if you cast your vote for our project in the People's Choice awards by May 5th, here. 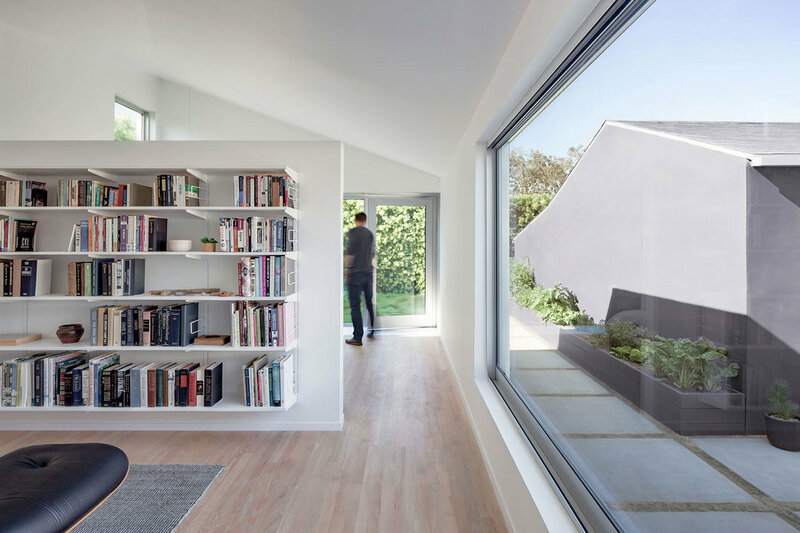 Our Rear Window House in Culver City has recently been photographed. The project consists of a contemporary addition and major renovation to a small house built in the 1940s. A full set of images and drawings can be found here. Woodbury University School of Architecture has released its inaugural issue of the journal SOFA, which features an interview with Ed Ogosta about his practice, teaching approach, and his role on the Culver City Planning Commission. Read the full article here. Images of Hoi Polloi, our bar + brewery on Alcatraz Avenue in Berkeley are now live, here. The project seems to be a major hit with the locals, according to the Yelp reviews. 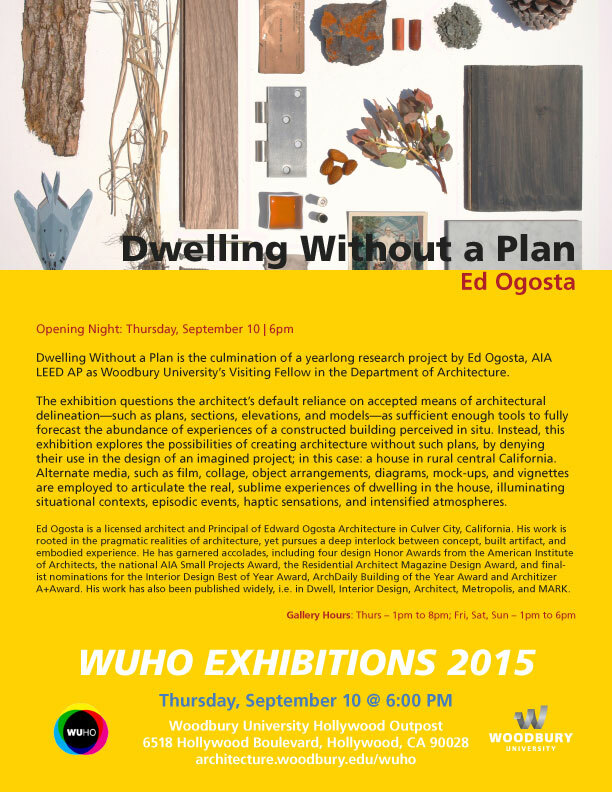 EOA's exhibition Dwelling Without a Plan had a successful opening run last month at Woodbury University's WUHO Gallery on Hollywood Boulevard. The exhibition was the culmination of a yearlong research project by Ed Ogosta as the 2015 Visiting Fellow in Woodbury's Department of Architecture. The project critiques the profession's growing readiness to regard building design as the mere creation of signature objects, rather than the creation of the experiences of objects. Much more detail and full project photos can be found here. 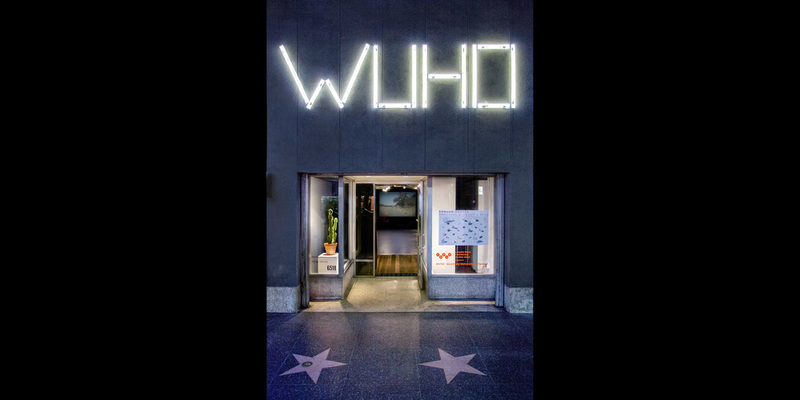 We are very busily working on our solo exhibition Dwelling Without a Plan at the WUHO Gallery on Hollywood Boulevard. Please join us on September 10th at 6:00PM for the gallery opening. More info about the exhibition can be found here, or on the WUHO Gallery website. The Los Angeles Business Council has awarded the 2015 Los Angeles County Sustainability Award to our Hangar Office project, also known as the Mahdesian Learning Center. The Council's 45th annual Los Angeles Architectural Awards gala was held on June 18th at the Beverly Hilton, with a keynote speech by Pritzker Prize laureate Shigeru Ban. The awards recognized projects that "successfully married environmental sustainability with aesthetic sensibility while contributing to the fabric of their communities." Our LEED-Platinum project was the only awardee in its category, so we are very honored to receive this prestigious recognition. A news feature on this award is also available at ArchDaily. Our Hangar Office project has been selected for the 2015 AIA Center for Emerging Professionals Annual Exhibition. The exhibition "promotes the compelling work of the rising generation of architects"; this is our third project to be included (both our Hybrid Office and Four Eyes House were included in the 2013 exhibition). Our presentation boards are currently on display at AIA National headquarters in Washington, D.C. and are on view until April 30th. The Los Angeles Business Journal has named Edward Ogosta Architecture's Hangar Office the Best Sustainable Project of the year. The LEED-Platinum project won Gold (the top honor in the Sustainability category) in the LABJ's Commercial Real Estate Awards program, which "recognizes the biggest, best, and most notable commercial real estate projects of 2014." We learned of the award alongside our client, Servicon Systems, at an evening awards gala held February 17th at the LA Hotel Downtown. We are extremely proud of this amazing achievement, not least since the other finalist in this category was a very strong entry by the City of Santa Monica, which won Silver. A spread on the project is in this week's issue of the Journal. The project team at the awards gala on February 17th. Metropolis magazine has awarded our Hybrid Office project Second Place out of 153 entries in the Workspace of the Future 2.0 design competition. The competition "challenged participants to redefine the idea of the office, illustrating their interpretation of the evolution of workplaces within the next 15 years." The project is featured in the January 2015 issue of Metropolis, as well as on ArchDaily, and won our office a handsome cash prize of $2500! We're extremely proud that our Hangar Office for Servicon Systems has at last been awarded LEED-Platinum status for New Construction, making it the first building in Culver City to receive this highest level of sustainability certification. This is a tremendous achievement, and thanks is due to our unbelievably dedicated client and great contractor SPS Builders. Follow this link to see the official listing with credit information in the online USGBC Directory, or download the credit report here. A search of the Directory confirms that Hangar Office is the first LEED-Platinum New Construction building in Culver City! We're very pleased to announce the completion of the Hangar Office for our fantastic client Servicon Systems in Culver City. The project turned out beautifully, thanks to our detail-oriented General Contractor, SPS Builders. We're currently expecting receipt of a LEED-Platinum for New Construction designation, which will make this the first such building in Culver City. Much more detail and full project photos can be found here. Ed Ogosta has been named the 2014-2015 Visiting Professor at Woodbury University's School of Architecture in Burbank, California. He will be teaching Materials and Methods and a second-year design studio in the Fall 2014 semester. In addition to Ed's teaching responsibilities, he will be pursuing a research project which will culminate in an exhibition at the WUHO Gallery in 2015. Construction on Servicon System's Hangar Office is rapidly progressing! Outside, the 56 kilowatt solar photovoltaic system, consisting of 227 roof-mounted panels and a solar carport structure, is on and humming, generating free, clean electricity. This system also greatly contributes to securing our anticipated LEED-Platinum rating. Inside, painting is progressing, restrooms are tiled, mechanical ductwork is installed, and dropped ceilings are ongoing. Left to be installed: millwork, corrugated metal cladding, carpet, glazing, and floor coatings. Training room main space with conference room on the right. The photovoltaic carport collects solar energy and shades the cars below. The kitchen space will feature an integrated seating nook at the rear wall. Suspended ceiling being installed in the main conference room. Ed Ogosta was invited to present the firm's work at the Harvard Club of Southern California's annual holiday dinner last night. Attended by a group of approximately fifty alumni, the presentation included several of our recent projects. Ed will also be speaking to the Club about architect Moshe Safdie's work on January 19th, during a visit to Global Citizen: The Architecture of Moshe Safdie, a current exhibit at the Skirball Cultural Center.